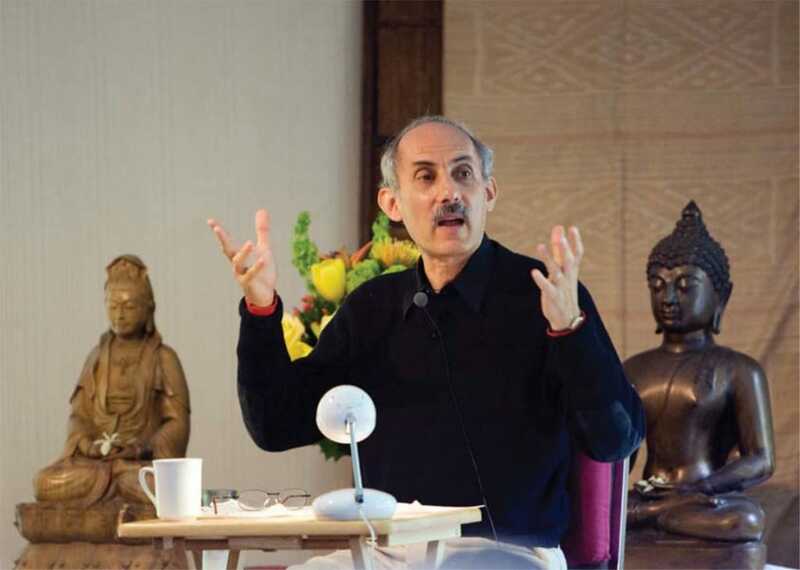 Jack Kornfield’s brilliant synthesis of deep Buddhist practice and modern psychological insight has made him one of the most influential spiritual teachers of our time. Steve Silberman tells the fascinating story of Kornfield’s voyage — both literal and philosophical — from West to East and back. 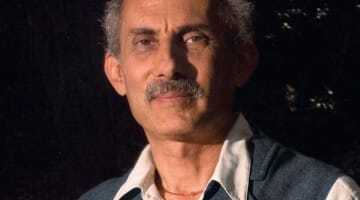 Jack Kornfield is dancing. With a fluid arc of his left hand, he plucks a sheet of paper from a stack beside his chair onstage at Spirit Rock, a Buddhist retreat center in the hills above San Francisco. Leaning forward, he stitches lines from a T.S. Eliot poem into a talk on meditation, along with quotes from Alice Walker, Nelson Mandela, Chuang-Tzu, an Afghan taxi driver who drove him to the airport, and his own daughter, Caroline. Kornfield calls this his “jazz”—his way of spontaneously weaving a tapestry of voices to illustrate the relevance of Buddha’s teachings in everyday life. Tonight a couple of hundred people, from tattooed dharma punks to grandmothers in tie-dye, have come to hear Kornfield’s jazz. Still boyishly slender, with huge ears and a brushy mustache, the 65-year-old former monk doesn’t look much different from the former Peace Corps volunteer with a freshly shaved head who was ordained in a Thai temple in 1969. 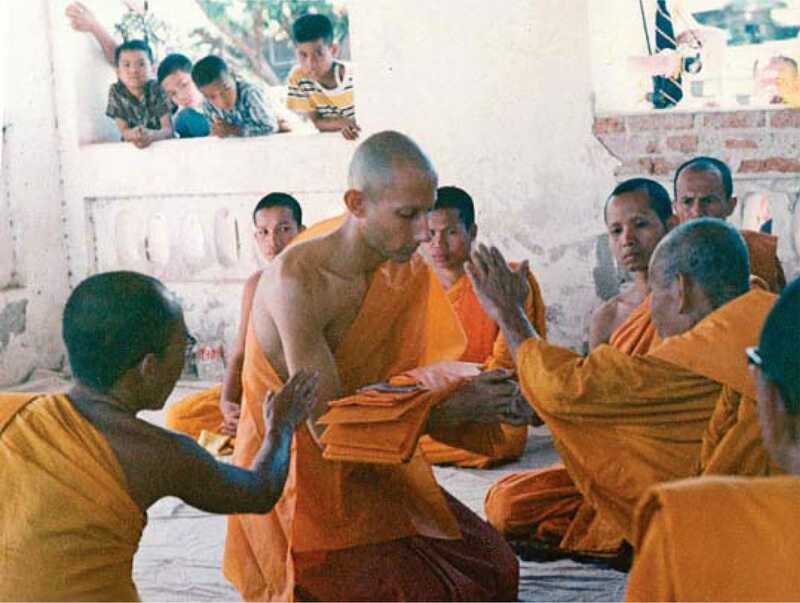 That day, he was on his way to becoming a novice in the forest monastery of Ajahn Chah, a renowned Theravada meditation master with a network of practice centers throughout Southeast Asia. Today, Kornfield is one of the most influential Buddhist teachers in the Western world. Before cofounding Spirit Rock in the late eighties, he helped create the Insight Meditation Society (IMS) in Barre, Massachusetts—the first retreat center in America dedicated to the 2,500-year-old form of meditation called Vipassana, which employs mindfulness of breath, bodily sensations, thoughts, and emotions to ground the racing mind in the here and now and penetrate the nature of reality. 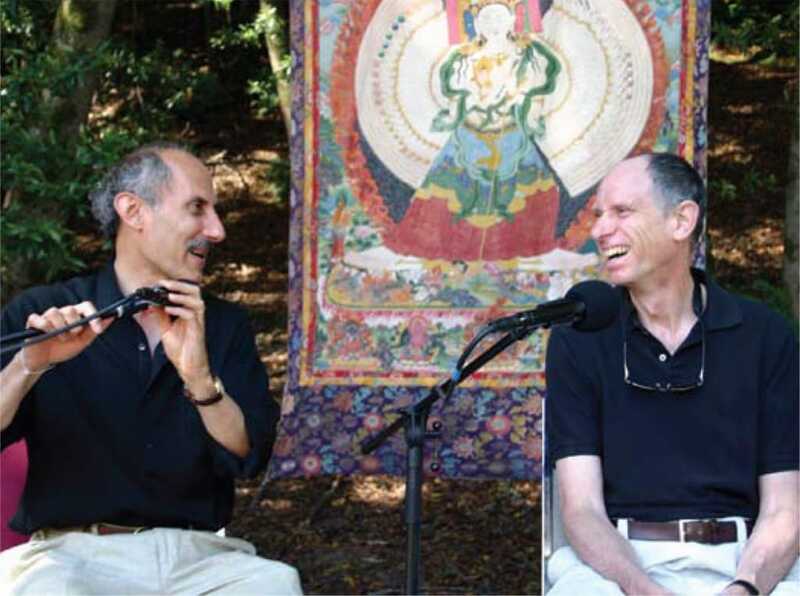 A psychologist and a Buddhist teacher, Kornfield is the author of such guides to mindful living as The Wise Heart, A Path with Heart, and After the Ecstasy, the Laundry, as well as numerous audio books and DVDs. He has organized councils of Buddhist teachers to meet with the Dalai Lama in Dharamsala; taught loving-kindness meditation to inmates at San Quentin prison; hosted men’s groups for former gang members in Los Angeles with poet Luis Rodriguez and storyteller Michael Meade; and led a peace march alongside rabbis, sheikhs, and imams through the streets of the Holy Land. For some of his friends in the room, one of the most gratifying things about tonight’s talk is that it’s happening at all. A year ago, Kornfield was giving a talk in Barre when he lost consciousness and dropped to the floor. 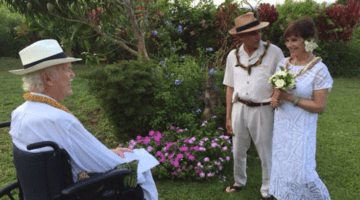 When he woke up, he says, “a dozen doctors were peering down at me.” At a neurologist’s office a few days later, he and his daughter Caroline heard that the initial diagnosis was of something grave, degenerative, and possibly life-threatening. “You don’t look so good, Dad,” Caroline said. He told her how much he loved her. “Oh Daddy,” she replied, “I wanted you to be here for my wedding and to be the grandfather for my children.” They both wept. How can I best serve dharma and fulfill my life? What if I don’t have that much time left? These are the things I’m thinking about these days. My mind became so still. I could see thoughts not only when they arose, but before they arose, like that feeling when you’re about to burp. Indeed, one of the first things that Ajahn Chah—an ochre-robed bhikku with a mischievous grin—said to Kornfield when he arrived at the monastery was, “I hope you’re not afraid to suffer.” This confused Kornfield, who thought the good news about Buddhism was the third and fourth noble truths—the ones about cessation of suffering. Ajahn Chah explained that there were two kinds of suffering: the usual kind that generates more pain and confusion, and the kind that can lead you to freedom. Photo courtesy of the Spirit Rock Archives. There was plenty of the latter available at his monastery, called Wat Nong Pah Pong. In accordance with the Vinaya, the Buddha’s rules governing monastic conduct, only one meal was eaten each day, in the morning, and it was gathered by the monks on an alms round to a village five miles away. Ajahn Chah would often talk for hours as the bhikkus sat around him on a stone floor. He also had an uncanny ability to sniff out attachments. Serenity-loving monks would be assigned to huts by noisy intersections, while those terrified by wild animals were dispatched to sit in the woods alone at night. The first time Kornfield ever gave a dharma talk, it was at Ajahn Chah’s insistence—at two in the morning, with no preparation, in Lao, for an audience of hundreds of monks and lay practitioners. The stepping-stone to the next phase of his life turned out to be a place where he might never have found himself as a monk—a swanky Cambridge cocktail party. The host was psychologist David McClelland, who had helped both Tim Leary and Richard Alpert (later known as Ram Dass) get jobs at Harvard. Also on the guest list was Chögyam Trungpa Rinpoche, a Tibetan lama who was then planning to launch a college in Colorado inspired by Nalanda University, the famed center of Buddhist scholarship that had thrived in India for a thousand years. It would be named after the renowned Indian mahasiddha Naropa. Trungpa Rinpoche took Kornfield aside to ask him about his training. One of the innovations that the lama was planning for his new school was to bring together representatives of the three major historical streams of Buddhism—Theravada, Mahayana, and Vajrayana—so they could learn from each other. Naropa Institute would also offer courses in psychology, music, dance, and poetics, recognizing that these too could be expressions of contemplative awareness. Trungpa Rinpoche asked Kornfield to consider teaching a Vipassana course at Naropa’s first summer session. Kornfield declined, explaining that he had never taught at that level. Rinpoche replied, “Then it’s clear you should be teaching,” and enlisted him on the spot. We were reasonably good teachers, but even more than that, we caught this huge, growing wave of interest in the dharma. Shortly after that, Ram Dass organized a “dharma festival” in Boston, and Kornfield offered to host out-of-town visitors. One of his guests was another former Peace Corps volunteer who had just gotten back from Asia: Joseph Goldstein. After a series of spontaneous experiences of insight, Goldstein had become a student of a teacher named Anagarika Munindra. A brilliant, impish Pali scholar in a white robe with an easy laugh and a disarming manner, Munindra-ji, like his teacher Mahasi Sayadaw, enthusiastically promoted the practice of Vipassana for lay people. In the two millennia since the Buddha’s death, meditation practice had been primarily limited to monks. Lay Buddhists could earn merit by offering material support to monastics in exchange for their wisdom, but this meant that for most people, deep realization could only come in a later, more auspicious incarnation. But Mahasi Sayadaw and Munindra-ji insisted that even busy householders could reach enlightenment in this lifetime if they practiced mindfulness with sufficient diligence. When Ram Dass volunteered to teach a workshop called “The Yogas of the Bhagavad Gita” for Naropa’s first summer in 1974, he asked Goldstein to be one of his teaching assistants, leading a course in meditation. Kornfield delivered a talk on the gathas, the Buddhist verses of gratitude said to all beings at mealtime. The launch of the new school turned out to be a huge success. Instead of the few hundred students expected to show up, more than eighteen hundred people made a pilgrimage to the foothills of the Rocky Mountains to take classes from Tibetan lamas, Zen roshis, and counterculture luminaries like Allen Ginsberg and Gregory Bateson. Also right there was Sharon Salzberg, who was several years younger than Kornfield and Goldstein, but already a dharmic prodigy. She had met Goldstein at a retreat for Westerners in Bodhgaya led by S.N. Goenka, another leader of the lay “Vipassana revolution” in Asia. A former businessman, Goenka promoted dhamma not as a form of Buddhism, but as a universal path to liberation. Through Goldstein, Salzberg met both Munindra-ji and Dipa Ma, a housewife who had taken up meditation in middle age after the sudden deaths of her husband and daughter. In a tiny room above a metal-grinding shop in Calcutta, Dipa Ma and her surviving daughter would receive visitors, showering them with love and home-cooked food. 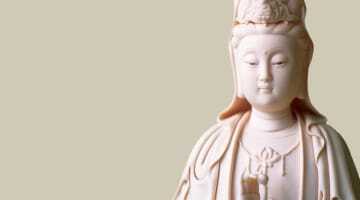 To Salzberg and Goldstein, she was a living embodiment of metta, the Pali word for loving-kindness. Dipa Ma predicted that Salzberg—then barely out of her teens—would be a great teacher herself one day. Photo courtesy of IMS Archives. After their Naropa days, Kornfield, Goldstein, and Salzberg were in high demand as teachers. Couch-surfing from retreat to retreat, they eventually yearned to create their own home base for intensive practice. A nun attending one retreat mentioned that the Catholic church was selling off a former seminary in Massachusetts. 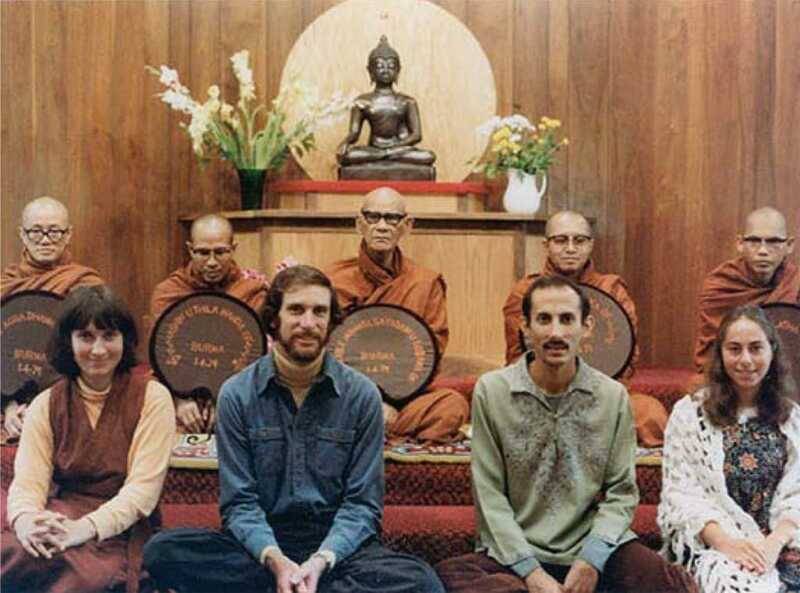 With the help of a loan officer who was under the impression that the Insight Meditation Society was the International Meditation Society (Maharishi Mahesh Yogi’s organization, made famous by the Beatles), the first Vipassana retreat center in the U.S. was born. We weren’t expected to create temples. We were expected to offer the teachings. As they had at Naropa, the teachers at IMS worked in teams, which offered students a chance to hear the dharma in a chorus of different voices. If you wanted to glimpse the empty nature of phenomena, Goldstein’s elegant lectures on shunyata might speak to you. If you were drawn by the Buddha’s emphasis on compassion, Sharon Salzberg’s talks on metta would touch your heart. And if you craved body-centered practice, the slow, balletic style of walking meditation that Ruth Denison had studied with her Burmese teacher, U Ba Khin, might be just what you needed. The teachers at IMS were more like peers than gurus—they were kalyana mitta, spiritual friends. To help his students cope with challenges that hadn’t come up in Asia—notably including relationship issues and a culture that encouraged scathing self-judgments—Kornfield started broadening his approach to include insights drawn from other traditions, particularly Western psychology. In 1977, he earned a Ph.D. in clinical psychology from Saybrook University (then called the Humanistic Psychology Institute), in a program started by Gregory Bateson and Rollo May. By presenting time-tested methods of sharpening awareness in a straightforward American idiom, IMS inspired a wave of mainstream interest in meditation. Informed in part by his experiences in Barre, Jon Kabat-Zinn wrote the best-seller Full Catastrophe Living, which promoted the practical virtues of mindfulness outside of a Buddhist context. Kabat-Zinn’s secularized version of Vipassana, the core of the Mindfulness-Based Stress Reduction program, is now taught in thousands of clinics and hospitals worldwide to ease chronic pain, lower blood pressure, and accelerate healing. The former monk had another reason to think about moving on. He had fallen in love. Liana Chenoweth, a young artist from Long Island, plunged right into the deep end of Buddhism, signing up for the famed three-month silent retreat in Barre in the fall of 1978. Naturally contemplative and inner-directed, she kept to herself after the communal periods of sitting and walking, sleeping in a cave guarded by three sentinel oaks. As the weeks unfolded in silence, Kornfield could see joy blossoming in her face. After the retreat, they became a couple. A few years later they moved to the Bay Area, where a group of people who had practiced in Barre—including James Baraz, Anna Douglas, Howard Cohn, Sylvia Boorstein, and Wes Nisker—were thriving. Kornfield started giving popular Monday-night talks around Marin County, and soon the hunt for a retreat center for the burgeoning West Coast sangha began. By embracing innovative approaches to teaching, community building, and practice, the center has become an R&D lab for the future of American Buddhism. She also got used to well-meaning Buddhists blurting out things like, “You must feel so blessed to have Jack as your father. He’s just so calm and mindful, such a luminous being! I can only imagine being around him every day.” After being around her father for twenty-six years, Caroline says in an email, “I never thought of my dad as being either enlightened or not, but as far as his being luminous goes, he tries to leave work at the office ;)” A law student at the University of California at Berkeley, she spent this past summer in Cambodia, investigating the brutal history of the Khmer Rouge for the War Crimes Studies Center. The search for a perfect home for the West Coast sangha went on for years. Finally in 1988—four days after Kornfield gave up hope of ever finding the right spot—a pristine 408-acre parcel of the San Geronimo Valley became available a mile from the Kornfields’ house in Woodacre. With the help of an anonymous donor, the sangha paid the Nature Conservancy one million dollars for the land. (It was good karma all around, as the money was spent defending rainforests in the Amazon.) Named for a serpentine boulder that was sacred to the Miwok Indians, Spirit Rock officially opened its gates for retreats ten years later. By embracing innovative approaches to teaching, community building, and practice, the center has become an R&D lab for the future of American Buddhism. One of the major contributions that Spirit Rock has made to the dharma is the concept of embodied enlightenment, a path of practice firmly grounded in day-to-day experience and informed by Western psychology. The impetus behind this approach, Kornfield says, was the need to address a problem for Buddhists that John Welwood calls “spiritual bypass.” Instead of dealing with family wounds and other deep-seated emotional issues, some meditators try to route around them by forcing themselves to practice harder. It doesn’t work. As the surface chatter of their minds becomes quiet, they can become overwhelmed by long-suppressed emotions. Now, many of the senior teachers at Spirit Rock are also psychotherapists. More than most practice places, the center embraces other ways of understanding the mind as adjuncts to meditation, including Advaita Vedanta, the Enneagram (Kornfield considers himself a Three, “the performer”), and A.H. Almaas’ Diamond Approach. Classes and retreats also incorporate ways of listening closely to the body, supplementing mindful sitting and walking with yoga and qigong. In his quest for a truly American dharma, Kornfield has helped to make the process of becoming a teacher more transparent. The teacher-training program he designed at Spirit Rock is more like an intense apprenticeship than a transmission between a guru and disciple. Trainees spend four to six years immersing themselves in the Pali canon and Theravada history, learning dozens of ways to teach mindfulness. They also participate in “role studies” aimed at reducing the feelings of isolation and inadequacy that are occupational hazards for spiritual leaders in any tradition. Kornfield’s training program has become a seedbed of new teachers for sanghas across America and Europe. He has also cast light on blind spots in his own tradition. Kornfield says he has never forgotten Mirabai Bush standing up at Naropa to challenge Chögyam Trungpa: “If there’s no gender in emptiness, why are all the men sitting up there and the women down here?” One of the senior teachers at IMS, Jacqueline Schwartz, very publicly left the Theravada lineage after informing her colleagues that she “could no longer represent a tradition which taught and believed women to be a lesser birth and life.” Inspired by the bravery of these and other women, Kornfield became an outspoken advocate of reforming Buddhism to honor the feminine. He has promoted the use of non-sexist language in services at Spirit Rock, facilitated meetings between female teachers and the Dalai Lama, and encouraged the decision-making process at Spirit Rock to become more democratic, with plenty of community input. Spirit Rock has broadened its boundaries in other ways as well. The center offers dozens of retreats and daylong programs each year for practitioners of color, gay and lesbian meditators, seniors, and other groups not adequately represented in predominantly white, straight, Boomer-age sanghas. In 2002, it hosted the first national Buddhist retreat for African Americans, featuring a talk by Alice Walker. A lot has changed since the day in 1972 when Kornfield stepped off a plane at Washington National Airport with his robe and bowl. Now there are dozens of Theravada retreat centers in the United States, strict traditional monasteries like Metta Forest and Abhayagiri, and thousands of Thai, Burmese, and Sri Lankan temples serving ethnic Buddhist communities. By taking root in American soil, the 2,500-year-old lotus has flourished and diversified. Photo courtesy of Spirit Rock Archives. What hasn’t changed is Kornfield’s commitment to his students’ realization. In an era when some teachers downplay talk of enlightenment, he’s more passionate than ever about what he calls the dharma of liberation. To Kornfield, it’s only natural that the same culture that produced Walt Whitman, the civil rights movement, and the push for marriage equality would carry on the democratization of the Buddha’s way begun by teachers like Goenka and Mahasi Sayadaw. Years of practitioners breathing mindfully, placing one foot in front of the other, have exerted a calming effect even on the nonhuman residents of Spirit Rock. Deer loiter on the grass by the community hall; guided meditations are punctuated by the gobbling of wild turkeys; cars passing a sign reading “Yield to the Present Moment” pause to let an orange-and-black snake cross the road. Beneath the tranquil surface, however, new developments are afoot. Last year’s health scare impressed upon Kornfield that he can no longer depend on having a larger-than-life ability to get things done. “I used to have an insane amount of energy. Now I have only a normal amount,” he says almost apologetically. For two decades, he’s been hosting global conferences of senior Buddhist teachers. Next June, a couple of hundred roshis, acharyas, priests, and lay elders from all over will converge on Garrison Institute near New York City. On the agenda will be a pressing need to empower the next generation of teachers while bringing more young people into the community. Kornfield’s response to these concerns has been typically generous: dancing gracefully out of the way. This year he handed the organizational reins of a retreat he’s been leading for thirty-five years to Levine and other younger teachers. He plans to yield the upcoming conversation about nurturing the next generation of Buddhism to the next generation of Buddhists themselves. “Instead of us old farts jabbering about this in the usual way,” he says, “the most empowering thing we can do is say, ‘You show us and we’ll follow your lead.’” Long before his most recent brush with impermanence, Kornfield was building institutions that don’t depend on any one person—or one way of expressing the dharma—to survive. Sometimes, before driving out of Spirit Rock on an errand, he stops at a hut lined with photographs of the teachers who have been speaking through him for four decades. Dipa Ma smiles from an old portrait, her face alert and relaxed; Mahasi Sayadaw looks as indomitable as a mountain in his ochre robe and glasses; the Dalai Lama and the Cambodian monk Maha Ghosananda clasp hands while bowing deeply to each other. In 1978, Ghosananda left his forest refuge to care for villagers fleeing the Khmer Rouge. Hearing him chant the old sutras again, they wept. Kornfield bows, steps into the sunshine, and walks down the hill. 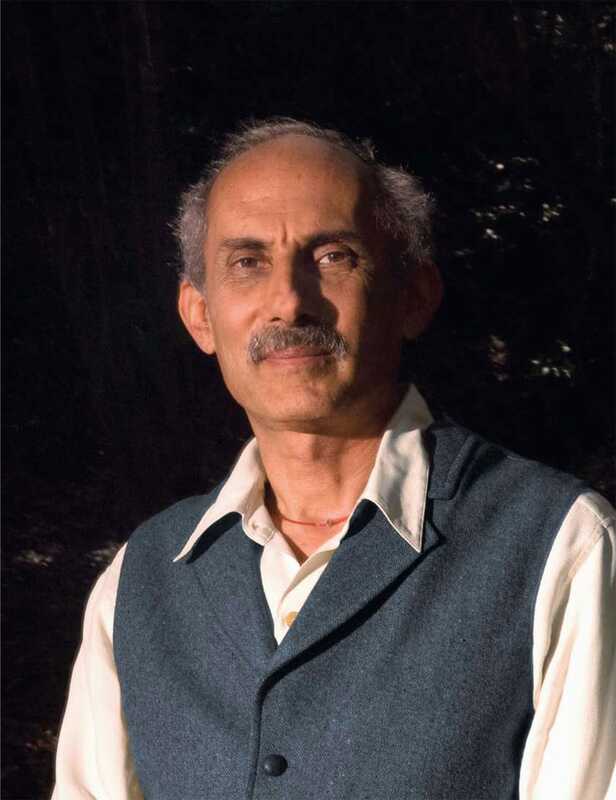 Jack Kornfield teaches at Spirit Rock Meditation cteenr just down the road from us in Woodacre, California, and if you are in the area, I definitely suggest that you find out about some of the courses being taught there.